A professional 12 volt power supply suitable for up to 8 cameras. 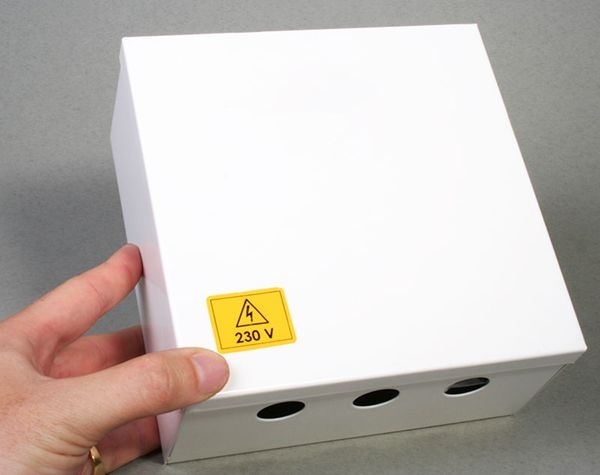 This power supply is not suitable for use with PTZ cameras. 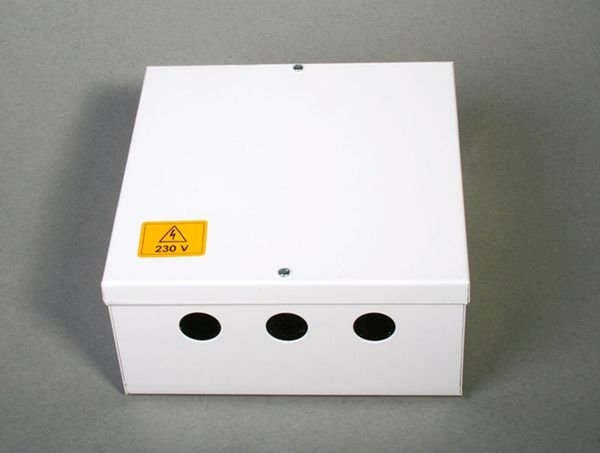 The tough metal cabinet is designed to be surface mounted and secures shut with screws to reduce tamper risk without having to keep track of easy to loose keys. Hard wiring also ensures there are no external switches or plugs which can be inadvertently pulled out causing camera blackout. 12 Volt output is via screw terminals, each camera is protected with an auto re-setting PTC fuse. The screw terminals are ideal for RG59/shotgun and Cat5 cables. 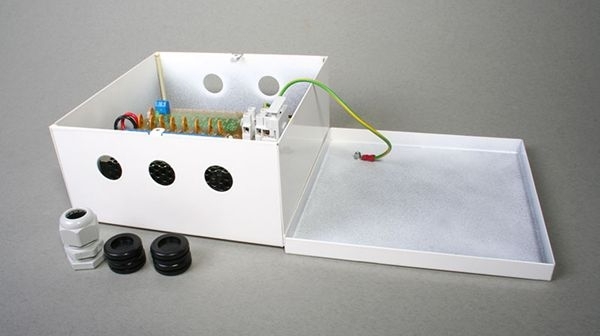 Our pre-made leads require the optional DC socket to bare wire fly leads. Maximum load per camera is 1.1amp, maximum total load is 10 amps. 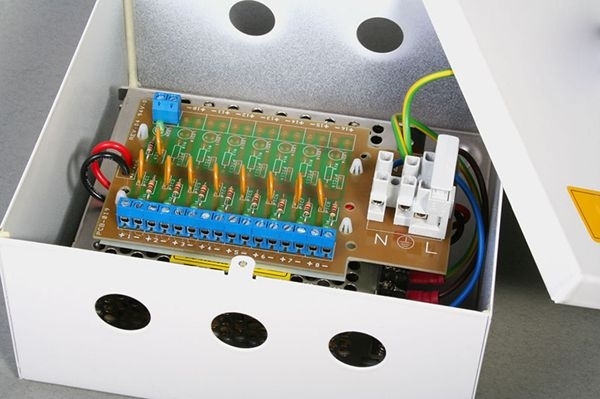 There is a protective fuse fitted pre-transformer for additional peace of mind. 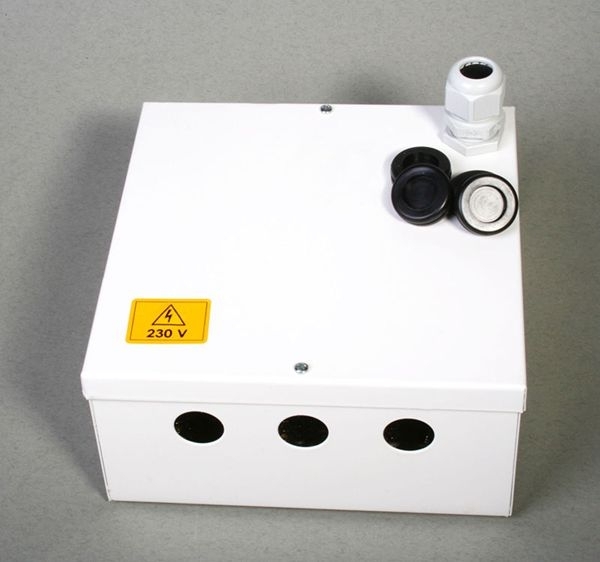 This power supply is only designed for use with CCTV cameras, it must not be used with DVR recorders.